While in Japan there was one thing I really wanted to do but was not sure if it would be possible. 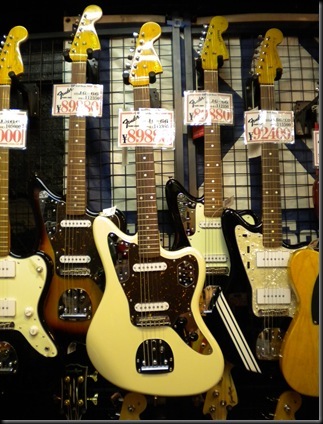 See some cool custom Japanese Guitars. 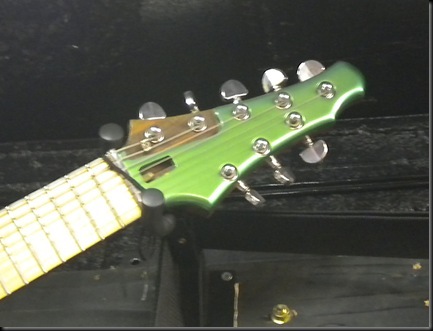 My mate Les has been building his own guitars for a few years now and has just about gotten me into the craze… there are some awesome builds out there in net land if you want to look them up. 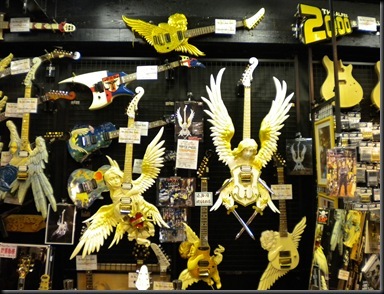 While in Shinyuku we passed a cool looking Guitar shop and I had to duck in to see what was what and here is what I found. 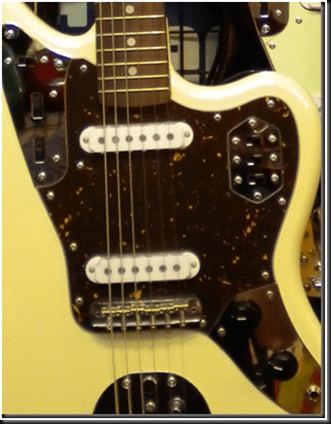 I really liked this one as it has simple lines and switches for the pickups and what nots… The colour is also good and simple which for me is a plus. 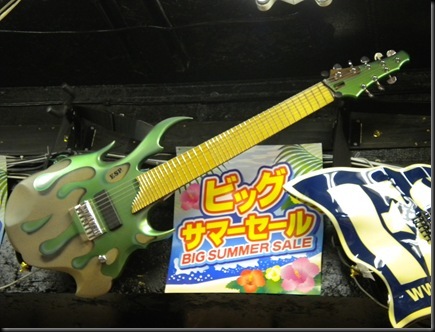 Cost 89,880 yen. 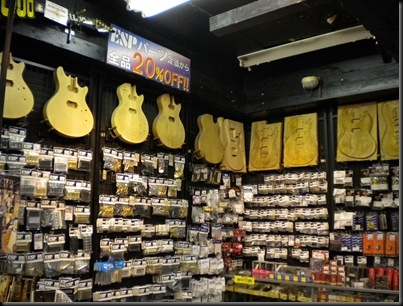 This store had everything you could need to build a guitar from scratch including some very cool pups in the glass case (bottom right). Me thinks Les would be jealous of this place! 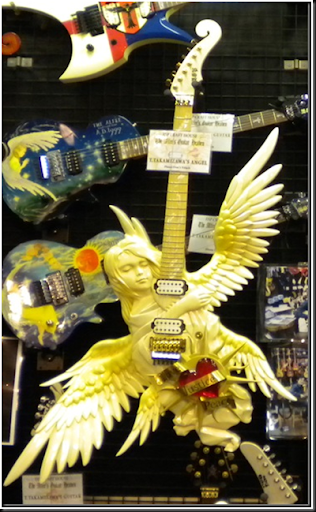 Below is a selection of the custom guitars the place made or will make – which is pretty much anything you can think of. 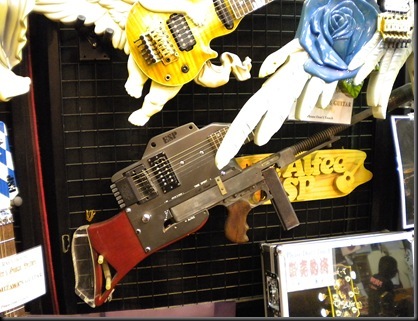 Further proof it really has 8-strings! 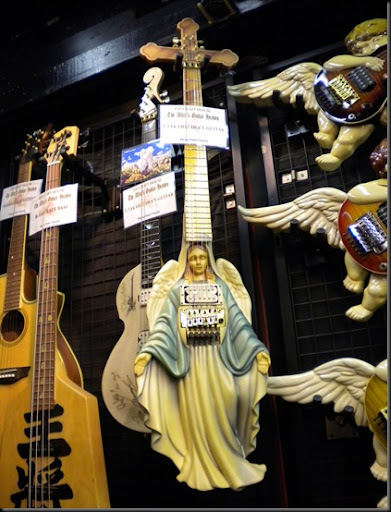 Needless to say this store had some of the best examples of custom Guitars I have seen. 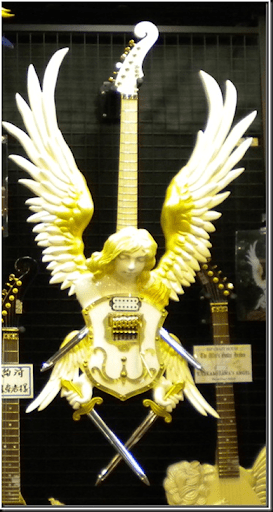 Wow – outstandin' guitars, man. I will get on the fone to my buddy, Satch… he deserves one of those bad boys!